I loved her sentiment backgrounds, but since I don't have the wonderful Turnabout stamp set from Concord & 9th yet, I decided to use what I have now. I brought out Close to My Heart's Make My Day set for the background and used Modern Anemones from W Plus 9 for the flowers. 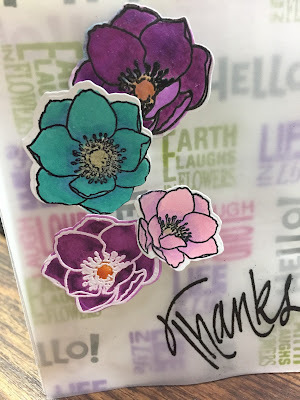 I stamped the sentiment with Gina K inks then added a sheet of vellum to soften the background and make the flowers stand out. 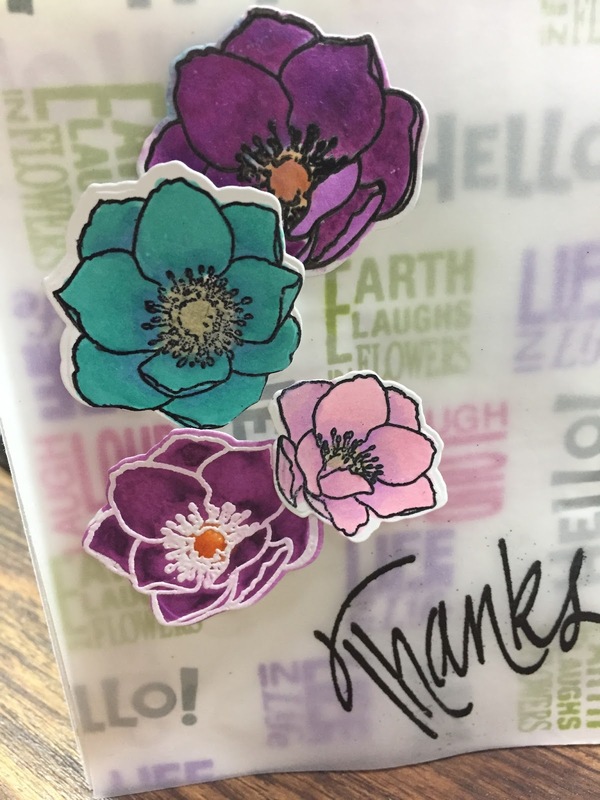 For the flowers I used both copics and distress markers after I stamped and embossed them with clear embossing powder.